Use TPE's AR page, built on Apple's AR Kit for a "through-the-lens" simulation of sun, moon, milky way and stars directly on your device. Tap a star to see its common name, Bayer name, azimuth and altitude. Relative magnitude and color (BV-index) determine the star's appearance. Research and save your own list of favorite photographic locations, using seven different map types, including two offline maps, and save them in your locations list. Show your favorite locations right on the map and navigate to them with a single tap. 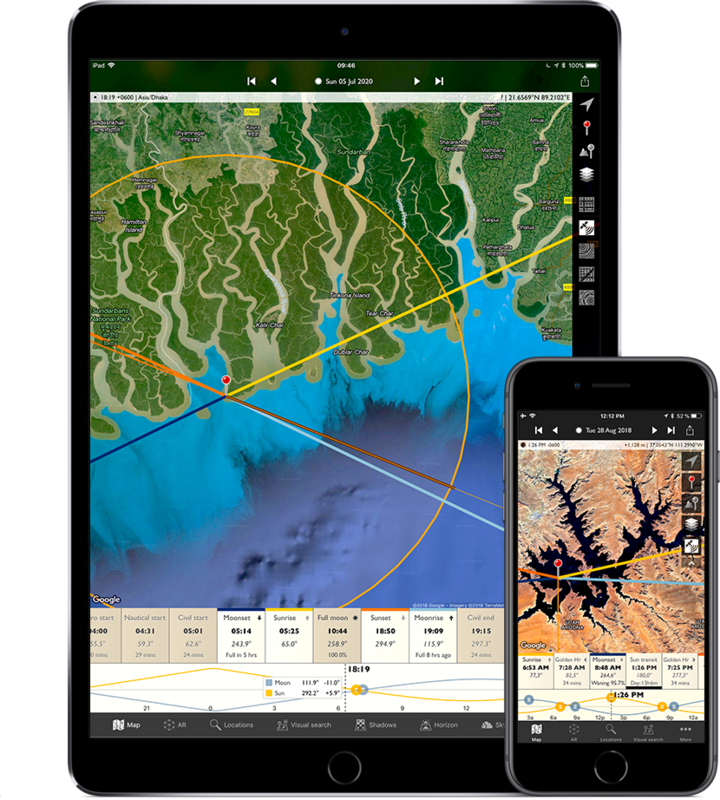 Skyfire has partnered exclusively with The Photographer's Ephemeris to make Skyfire available on iPhone and iPad. Many photographers already use TPE day-to-day to plan natural light photography. Now you can view Skyfire forecasts directly within the app in one seamless workflow.